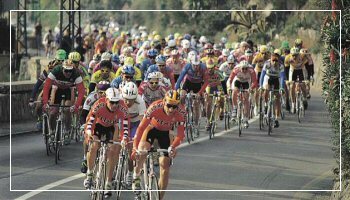 On Sunday, June 1st 2008 there will be the 38th International Long Distance race Milano/Sanremo for amateurs, a very important bicycle race. The cycle tourist race of the Riviera of Flowers has been the first event for amateurs from every part of Italy, in fact with its 295 Kilometers and 1200 Meters of vertical gap it’s the longest Italian amateur competition. From June 6th to June 8th the International CSI 1 Star obstacle jump Horse Competition will take place at the Sanremo Equestrian field. This competition opens the international races calendar. On Sunday, June 15th and 22nd and June 29th at the “Gli Ulivi” Golf field of Sanremo the competitions of the World Caribbean Golf Challenge will take place. From June 27th to June 29th at the City Stadium of Sanremo there will be the 20th International Over 40 Football tournament “Ing. Carlo Bianchi”. The tournament is divided into four divisions of 4 teams each. The winner of every division will have access to the semi-finals and finals. On Sunday, June 29th at 8 PM there will be the prize ceremony and gala night. On Sunday, June 1st in San Bartolomeo al Mare there will be the 25th edition of the “Sun Trophy”, a qualification tournament for the National Italian Bow and Arrow Shooting championship. (FITA bow and arrow shooting field). 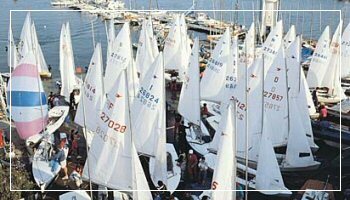 Always in San Bartolomeo on Saturday, June 21st there will be a sailing competition on the sea space of the Gulf of Diano Marina: “White Sails 2008”, meeting point by the Nautical Club Headquarters.